Todays quick challenge is an ATC using Peel-Offs. I am not a big fan of Peel-Offs simple because I'm a bit 'cack-handed' (pardon my Deutsch) when is comes to the handling of the delicate little things. The filigree flowers and corners just turned into a sticky tangled mess when I tried to use them in the past. However thanks to the challenge over at Ditzy-Craftymess Challenge Blog I had to overcome my fears and get to grips with peel-offs. The two ATCs posted reflect that I have a lot of Butterflies in my peel-off collection. 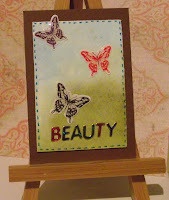 'Beauty' has a background I made with some water-colouor paper and water-based inks. 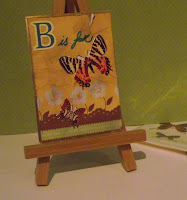 The Butterflies are from Paperchase and I used a Tombow marker for the faux stitching. 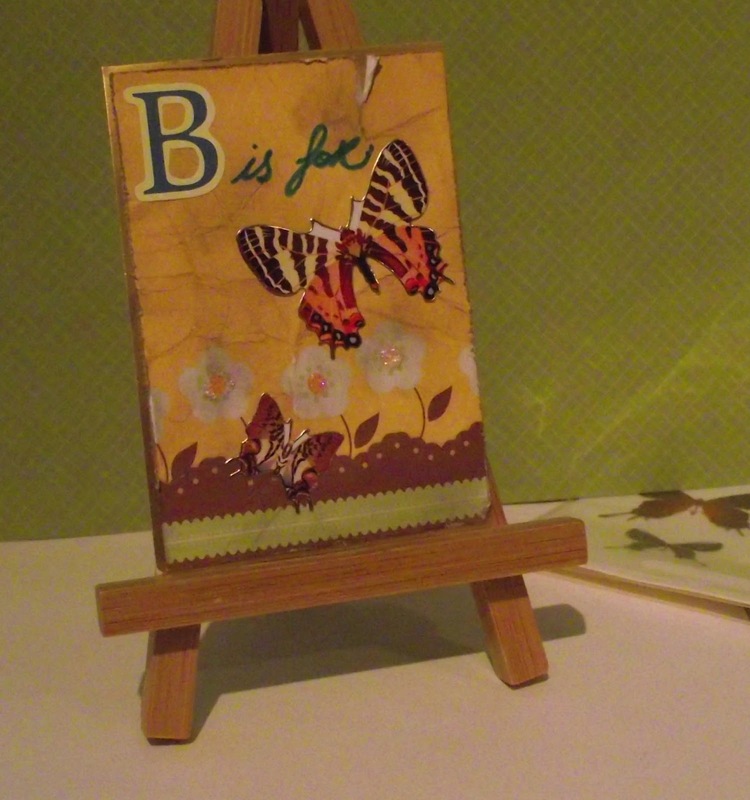 'B is for' was made using some gold cardstock to which I matted a piece from some 5.5 x 6.5 inch paper from a DCVW stack called Glittery Sweetness. The butterfly is from a sheet of peel-offs I picked up for €1 in a bargain bin hereabouts. 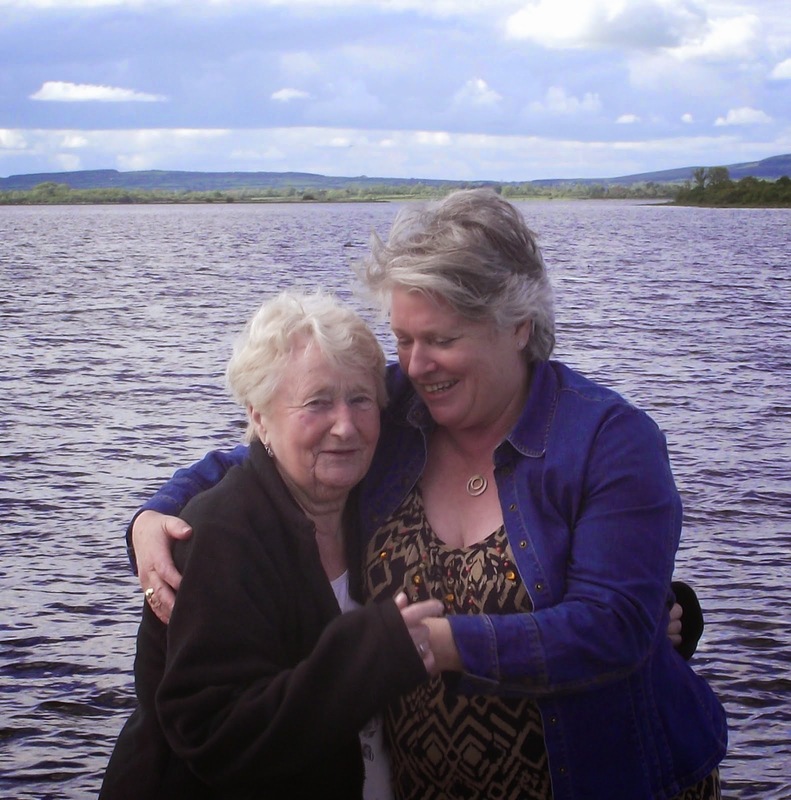 Thanks again for stopping by to read my blog. Hope you enjoyed your visit. Your time and comments are appreciated. These are beautiful Angela. Love them both and simply stunning. I do love butterflies too.